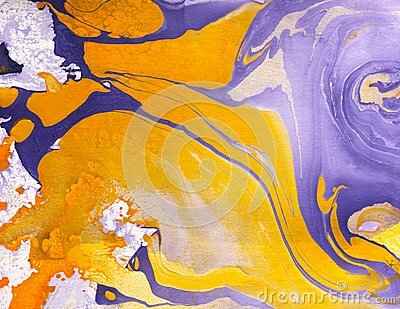 Abstract marble hand painted background in modern art style with fluid free-flowing ink and acrylic painting technique. Abstract marble hand painted background in modern art style with fluid free-flowing ink and acrylic painting technique. Bright mixed vibrant colors. Handmade creative wavy texture.